that stops pain, itching, and swelling of insect bites. 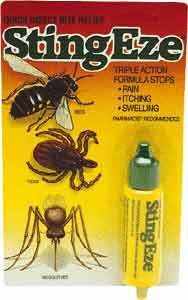 without the strong protection offered by Repel insect repellents. – 0.5 oz.